The basketball court that made Milwaukee famous will take center stage once again tonight. MILWAUKEE – Think of this as an old timer’s game. Except in place of the aging basketball stars of yesteryear, this one will feature the chilly drafts, creaking hinges and narrow concourses of a long-retired NBA arena spiffed up for one last game. And one lasting stroll down memory lane. The Bucks played in that building for 20 years, from their inception in 1968-69 through the 1987-88 season. A $10 million, barrel-roofed state-of-the-art facility when it opened in 1950, where the Milwaukee Hawks (before moving to St. Louis and eventually Atlanta) were the first NBA tenants for four seasons through 1954-55, the Arena over the past three decades became the home of the University of Wisconsin-Milwaukee Panthers and the Milwaukee Admirals of the American Hockey League. But because Milwaukee seems to only add downtown sports facilities without subtracting any – the Arena sits immediately to the south of the Bradley Center, which sits immediately to the south of the new, $524 million facility set to open for the Bucks’ 2018-19 season – this one was available when ideas got tossed around for commemorating the current franchise’s 50th season. The Bucks get in practice on the MECCA court before Thursday's game. “We started talking about the possibility of doing a game there probably three or four years ago,” said Dustin Godsey, the Bucks’ chief marketing officer. “We’d heard repeatedly as we started looking at a new building so much from fans about what it was like to see a game there. The NBA had to sign off on the idea, of course, because this isn’t 1968 or even ‘88. The Celtics hardly are a mundane opponent, but the Bucks’ season-ticket base of approximately 7,500 meant that the team’s most valued customers could be accommodated in the old arena. It boasts a capacity now of 12,700 compared to the familiar 10,938 figure that meant “sellout” when the Bucks and the Marquette University Golden Eagles (then known as the Warriors) called MECCA it home. But there’s still no upper bowl of seating. Locker rooms and concession stands have been updated since the ‘80s, yet it undeniably is an old arena, with all the expected limitations and charm. Bob Pettit, the Hall of Fame power forward, played his Rookie of the Year season at the Milwaukee Arena in 1954-55 before moving with the Hawks to St. Louis and winning MVPs in ‘56 and ‘59. From 1955-68, the building’s chief basketball tenant was Marquette. Al McGuire colorfully coached future NBA players such as George Thompson, Dean Meminger, Jim Chones, Larry McNeil, Maurice Lucas, Earl Tatum and Lloyd Walton, and led the school to two Finals Fours and the NCAA title in 1977. According to one estimation, 48 of the NBA's 50 Greatest Players played at the MECCA. Despite the 13-year gap between NBA teams, though, the pro game’s most illustrious names passed through the Arena’s doors. Tom Enlund, longtime Bucks beat writer for the Milwaukee Journal Sentinel, did the research and found that 48 of the league’s 50 Greatest Players had played there. The two exceptions: David Robinson and Shaquille O’Neal, who got to the NBA in 1989 and 1992 respectively, after the Bucks had moved into Bradley Center. Guess who else played there: Elvis Presley, The Beatles, The Rolling Stones, The Doors, The Who, Led Zeppelin, Jethro Tull and Jimi Hendrix. As well as Frank Sinatra, Ray Charles, Neil Diamond and Luciano Pavarotti. In addition to Stevie Ray Vaughn, George Thorogood, Frank Zappa, Green Day, Stone Temple Pilots, Matchbox Twenty, Maroon 5 and Lil’ Wayne. Every President from Truman through Obama has appeared there, as did former Minnesota governor Jesse (The Body) Ventura in his pro wrestling days, along with untold circus performers and roller-derby queens. So, for that matter, did Wayne Embry. The Bucks called the MECCA home from 1968-88. Embry, most famous as the first black general manager of a major U.S. professional sports team when he was promoted to that post by the Bucks in 1972, got his first glimpse of the Arena while in college. His school, Miami of Ohio, had faced Marquette there. He returned in his 11th and final NBA season after being picked from Boston in the 1968 expansion draft. On Oct. 16 of that year, Embry scored 15 points in the Bucks’ debut game, a loss to the Chicago Bulls in front of 8,467 fans at the Arena. “It was ideal for us starting out, because we had a lot of full houses and that made it feel big,” said Embry, 80, who is now a senior advisor to the Toronto Raptors. A year later, with the good fortune of a coin flip and the resulting arrival of Lew Alcindor (later Kareem Abdul-Jabbar), the Bucks got big. They jumped from 27 to 56 victories with the dominant rookie and lost in the East finals to the eventual-champion New York Knicks. The next season, once Embry persuaded his old Cincinnati roommate, Oscar Robertson, to accept a trade there, Milwaukee won 66 games and its only NBA championship. Inside The NBA's experts reflect on the Bucks' 1971 title team. The Bucks got into The Finals again in 1974, losing Game 7 at the Arena to the Celtics. Abdul-Jabbar leveraged his way out of Milwaukee to the Lakers after the 1974-75 season, taking his sky-hook success with him (they were 342-150 in six seasons). But an even bigger star arrived two years later. With Milwaukee’s power brokers eager to promote the city and bolster civic pride, they hit upon an unlikely option: They commissioned pop artist Robert Indiana, a cohort of Andy Warhol most famous for his 1965 “LOVE” design, to create a basketball floor unlike any other. Workers install the MECCA court at Milwaukee Arena for tonight's game. The buzz in Milwaukee was exceeded by the floor’s reception nationally, as viewers absorbed it again and again on telecasts. The original floor still exists and the Bucks initially pitched the NBA on the idea of using it for the game against Boston. Said Godsey: “But from the standpoint of it being a 60-year-old floor -- that floor predated the Bucks even -- with its dead spots and player-safety issues, they wouldn’t give us the green light for that. So we went to work on [a replica provided by the team’s floor contractor], getting permission from the people who assigned rights for Robert Indiana’s artwork. Without the replica floor, much of the nostalgia of this #TBT game would be lost on the TNT audience. But its iconic status was elevated in part by the teams that played on it for most of its 11 years of usage at the Arena. From 1979-87, Nelson’s Bucks averaged 54 victories, won their division seven times in eight seasons and made the playoffs each year in a streak of 12 consecutive postseason appearances. Milwaukee’s all-time regular season record in the building was 582-209 (.736), thanks to some key players obtained in the Abdul-Jabbar trade with the Lakers -- Brian Winters, Junior Bridgeman -- and drafting or acquiring others such as Johnson, Sidney Moncrief, Bob Lanier, Terry Cummings, Paul Pressey and Ricky Pierce. The MECCA-era Bucks, led by coach Don Nelson, were regularly among the NBA's best teams. As successful as those ‘80s Bucks teams were -- Nelson was named Coach of the Year in ‘83 and ‘85 -- they annually ran into powerhouses from Boston or Philadelphia and never reached The Finals. Marques Johnson starred on many of the Bucks' best teams of the early 1980s. 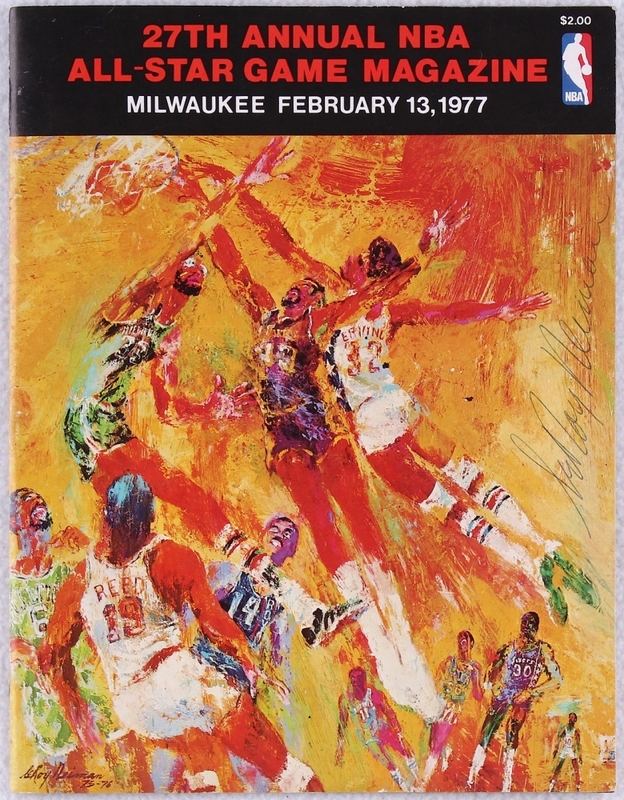 * The Bucks clobbered Baltimore 151-99 on Jan. 10, 1971, but the final score wasn’t the most memorable moment. That came in the fourth quarter, when Bullets forward Gus Johnson -- long before Darryl Dawkins or Shaquille O’Neal -- shattered one backboard with a monstrous slam dunk. It took 30 minutes to position a replacement hoop. In 1971, Gus Johnson's dunk shattered a backboard at Milwaukee Arena. * Not quite a year later, on Jan. 9, 1972, the defending champion Bucks snapped the Lakers’ still-record NBA winning streak at 33 games as Abdul-Jabbar had 39 points and 20 boards. Milwaukee finished 63-19 to the Lakers’ 69-13 that season and lost to Wilt Chamberlain, Jerry West and the rest in the West finals. * Celtics coach Brad Stevens worked in the building once before. He led Butler past UWM in the Horizon League tournament championship game in March 2011. In 2011, then-Butler coach Brad Stevens led his squad to a conference title at MECCA. * There was no parking lot for the players, so they parked across State St. on the north side of the arena -- at the McDonald’s franchise owned by Embry. That store got bought out and steamrolled to make room for the Bradley Center. * The 1977 All-Star Game was played at the Arena, the league’s first after the NBA/ABA merger. Five of the 10 starters had come over from the ABA, including the game’s MVP, Erving. That event produced its own iconic pop art courtesy of LeRoy Neiman for its program cover and poster. * The Bucks’ 10th season opened with a bang when Abdul-Jabbar, back with the Lakers, punched Milwaukee rookie Kent Benson in the face just minutes into the game. His coaches reportedly had worked Benson into a lather in his first NBA game to play physically against the legendary big man, and Abdul-Jabbar did not take kindly to Benson’s elbow to his midsection. Kareem broke his hand and missed two months, while Benson’s facial fracture was cited as one reason for his career’s mediocre trajectory. * On Dec. 9, 1978, the Chicago Hustle beat the Milwaukee Does 92-87 in what was billed as the first women’s professional game ever. The Does played two seasons in the soon-defunct Women’s Professional Basketball League. Inaugural Bucks coach Larry Costello coached the team in its second season. * Bucks owner Jim Fitzgerald infuriated the Celtics when he lit up a victory cigar -- a dig at the legendary (and still active) Red Auerbach -- after Game 4 of Milwaukee’s sweep in the 1983 Eastern Conference semifinals. Lanier grabbed a courtside microphone to the PA system after the final horn to lead the fans in a “Sweep!” chant. * Milwaukee’s first-round triumph over Philadelphia in the 1987 playoffs meant that the great Erving played the final game of his Hall of Fame career at the MECCA. His line: 10-of-24 for 24 points with four rebounds, two assists and three steals in 40 minutes. Mike D'Antoni and his Tracer Milan club took on the Bucks at the MECCA in the 1987 McDonald's Open. * Payback can bite, as Bird made painfully clear to the Bucks in ‘86 when he led the Celtics to a sweep of Milwaukee in the Eastern Conference finals. It was said that Boston remembered Milwaukee’s sweep antics from ‘83, and Bird was merciless to the end this time. He averaged 25.3 ppg, 9.5 rpg, 8.0 apg and 1.8 spg, scored 17 of his 30 points in the fourth quarter of the May 18 finale -- and from the left corner, sank a 3-pointer as time expired in what became a 13-point victory, walking off the brightly colored even as the basketball swished through. May the folks in Milwaukee realize, so many years later, what a privilege it is to see one more game at their city’s storied and beloved arena.